little musky. This is a good perfume for a young woman, in semi-formal, even professional events. The longevity is amazing, it last the whole day. Ideal for fall, winter and maybe cold spring. 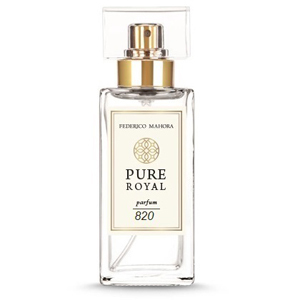 The scent of this perfume is similar to the scent of Paco Rabanne Pure XS For Her perfume. Oriental fragrance with a floral note. Base notes: sandalwood, ambergris, vanilla, musk.